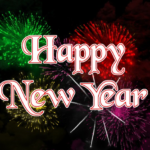 The Monson Law Firm wishes each and every one of you a safe, healthy and prosperous New Year! Click here to view pictures! 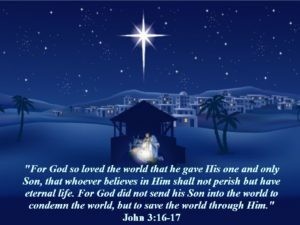 May we all recognize the blessing bestowed upon us this Christmas season! 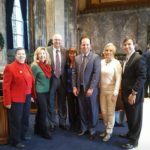 Matthew Monson was recently at the Louisiana legislature on Monday for the voting of the Electoral College. Thank you to State Representative Paul Hollis for the invitation! Pictured are Presidential Elector, Charles Buckles, Jr., State Representative Paul Hollis and Matthew Monson, Esq. 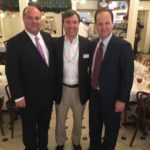 The Monson Law Firm attended the Annual Installation Christmas Banquet for the New Orleans Chapter of Professional Insurance Agents which was held at the New Orleans Country Club. Pictured are Matthew Monson, Esq. and PIA of New Orleans President Timothy Clements. Click here to view pictures! The Monson Law Firm attended the Hollis Companies Annual Holiday Luncheon at Galatories in New Orleans. 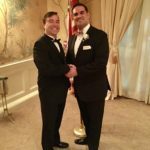 Pictured are President and CEO Michael Hollis, Matthew Monson, Esq. and State Representative Paul Hollis.Click here to view pictures! 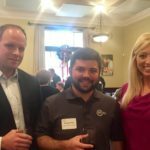 The Monson Law Firm attended the Baton Rouge Chapter of the Professional Insurance Agents of Louisiana’s Christmas Party at Oak Lodge. 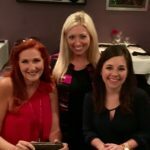 Pictured are PIA of Louisiana’s State President Lisa Donlon with Arthur J. Gallagher, PIA of Baton Rouge Chapter President Shay Robinson with UPC and Ann’Lee Earles, CISR, CPIA. Click here to view pictures! 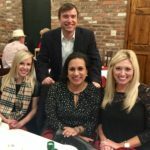 The Monson Law Firm attended the Honorable Order of The Blue Goose of Louisiana’s Annual Christmas Party at Austin’s Seafood and Steakhouse in Metairie. Thank you to everyone who brought canned goods to be donated to Catholic Charities! Pictured are Tracye Russo with CRDN, Ann’Lee Earles, CISR, CPIA and Brittany Davis Stoudt with Emergency Restoration, Inc. Click here to view pictures! 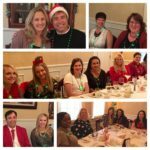 We enjoyed fellowship and fun at our employee Christmas lunch at Annadeles Platation. We are thankful for each and every one of our employees! Click here to view pictures! 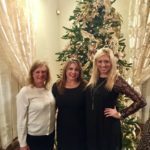 The Monson Law Firm attended the Northshore Chapter of Professional Insurance Agents Christmas Luncheon at Keith Young’s in Madisonville. We raised over $1,000 at the luncheon for the St. Tammany Project Christmas. For more information on how to become a Project Christmas partner please visit www.stprojectchristmas.org. Pictured are Jason Howell, Stephen Pisa with Howell and Associates and Ann’Lee Earles, CISR, CPIA. Click here to view pictures! 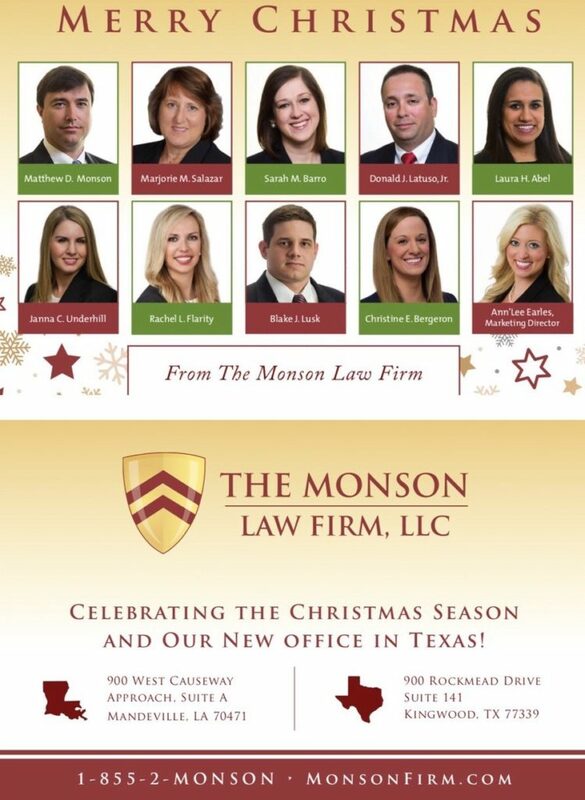 The Monson Law Firm attended the Northshore Claims Association’s Christmas Party at Bosco’s in Mandeville. We would like to thank everyone that took the time out of their busy holiday schedules to attend last night’s party and make it a great success! Pictured are Rachel Flarity, Laura Abel, Ann’Lee Earles and Matthew Monson. Click here to view pictures! On September 29, 2016, The Monson Law Firm obtained a signed Consent Judgment against Nader Anthony Odeh in favor of its clients Dale Velez and The Velez Corporation. Specifically, Nader Anthony Odeh is subject to a court order preventing him from coming within 50 feet of Mr. Velez or any of the employees of The Velez Corporation. In a Verified Petition filed by The Monson Law Firm on June 16, 2016, Nader Anthony Odeh is accused of verbally and physically threatening Mr. Velez as well as grabbing contents delivery paperwork and shoving it down his pants! In response to the Verified Petition, Nader Anthony Odeh voluntarily agreed to the restraining order and signing the Consent Judgment to avoid going to trial. Please click to see the Verified Petition, Consent Judgment and photos of the Delivery Documents!